A Canadian researcher has discovered how bar-headed geese can fly over Mount Everest without expiring from the lack of oxygen. 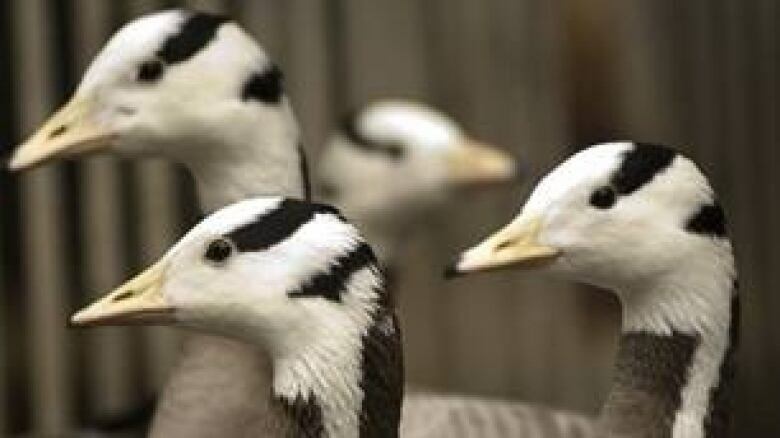 Bar-headed geese fly over the Himalayas on their annual migration between India and Mongolia. 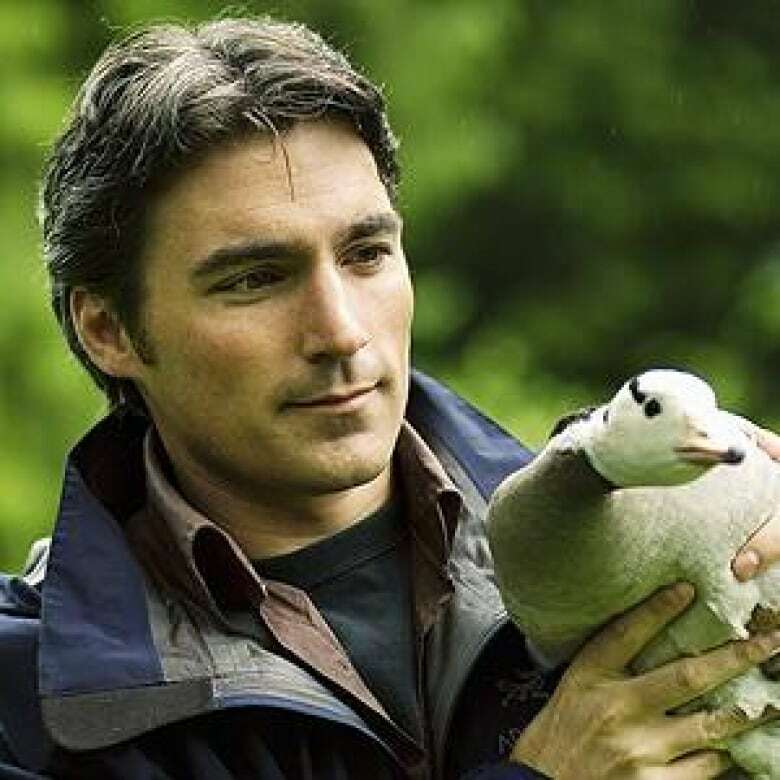 ((Martin Dee, UBC))A Canadian researcher has discovered how bar-headed geese can fly over Mount Everest without expiring from a lack of oxygen. "There's been a lot of observations by people who have seen them flying above highest peaks in the Himalayas at a height of up to 9,000 metres, which is close to what commercial airplanes fly at," said Graham Scott, who did the study as part of his PhD at the University of British Columbia. At that height, he said, there is only a quarter of the oxygen available at sea level. That leaves human mountaineers struggling to walk, even when breathing supplemental oxygen. Meanwhile, the bar-headed geese aren't just walking, but performing an activity as demanding as running a marathon, said Scott, who is originally from Kingston, Ont. To figure out how, Scott and collaborators at UBC and the University of Birmingham examined small samples of flight muscles from bar-headed geese that had been bred in captivity in Canada and compared them to geese that live only at low altitudes, such as barnacle, pink-footed and greylag geese. Their results are published in Wednesday's issue of Proceedings of the Royal Society B. They have more aerobic muscle fibres. They have more capillaries, small blood vessels that supply oxygen and fuel, surrounding their muscle fibres. The parts of each cell that process oxygen, called mitochondria, are closer to the cell membrane and therefore to the capillaries, speeding up the exchange of oxygen. Graham Scott found that bar-headed geese have more aerobic muscle fibres than other geese. ((Martin Dee, UBC))While some of those features, such as more capillaries surrounding the muscle fibres and the movement of mitochondria, have been observed in animals living at high altitudes or humans who have spent some time doing exercise training, the individual bar-headed geese in the study were actually born at low altitude, had never been in the mountains, and had never even flown, suggesting that their unique physiology is genetic. "It's sort of preparing them in advance," Scott said. Such adaptations to high altitude do come at a cost, he added. For example, moving the mitochondria closer to the oxygen source moves them away from the areas that need the energy supplied by the mitochondria. However, Scott said further study so far suggests that the geese have ways of compensating for that. "Otherwise, they wouldn't be able to fly as well at sea level."